Ramen is one of the most favorite food for Japanese. 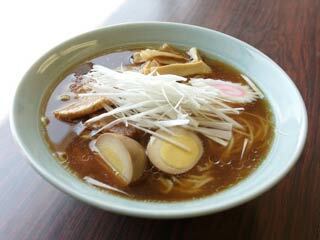 It is chinese noodle with soup. It is served in a meat- or fish-based broth, often flavored with soy sauce or miso, and uses toppings such as sliced pork, dried seaweed, kamaboko, green onions, and occasionally corn. Almost every locality in Japan has its own variation of ramen, from the tonkotsu (pork bone broth) ramen of Kyushu to the miso ramen of Hokkaidu.